GES Drilling at a quarry in Kelso. 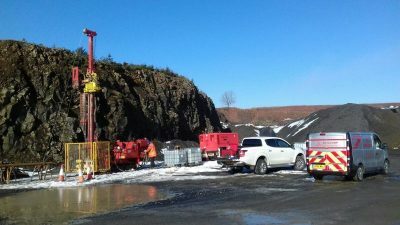 Five boreholes drilled to a depth of 25m to establish how deep rock could be blasted to create aggregate. Geobore S Wireline Coring systems took a 102mm core. Call Scott Burt for your next project.